Bradbury, Roosevelt, my what tales you must tell!!! This post is the final in the Los Angeles/Long Beach series. 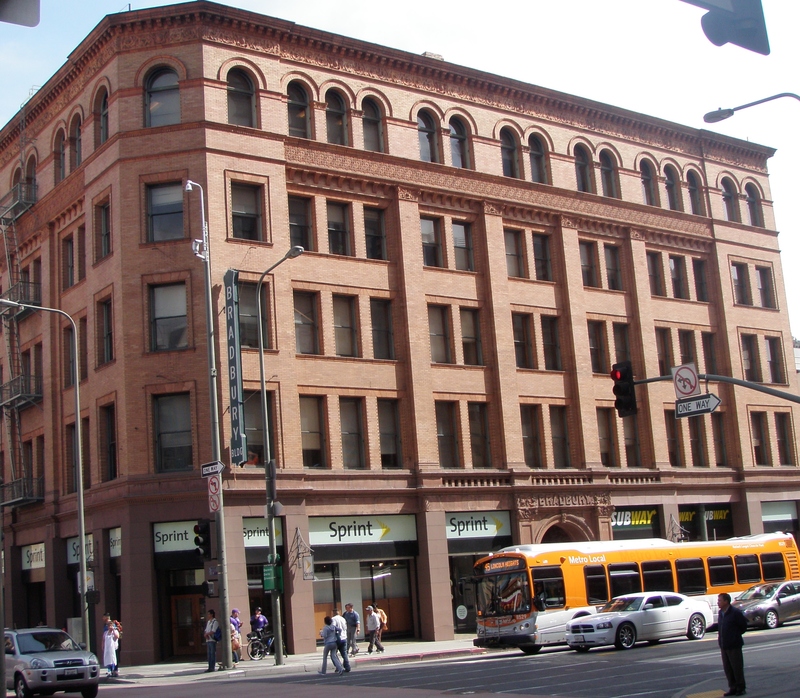 The above photo is the famous Bradbury Building. 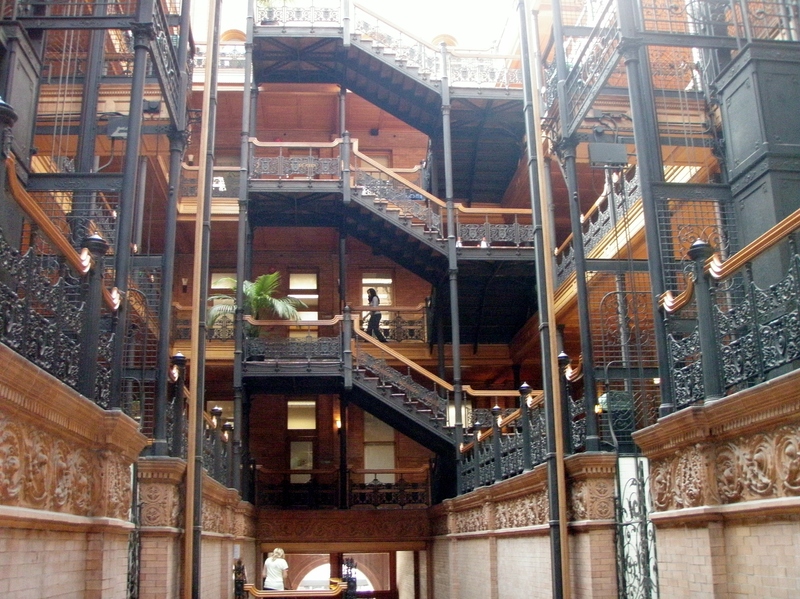 It was built in 1893, and has been the focal point of many movies and fictional stories. But wait, let’s take a look inside. You won’t believe your eyes! Have you ever seen anything like it? 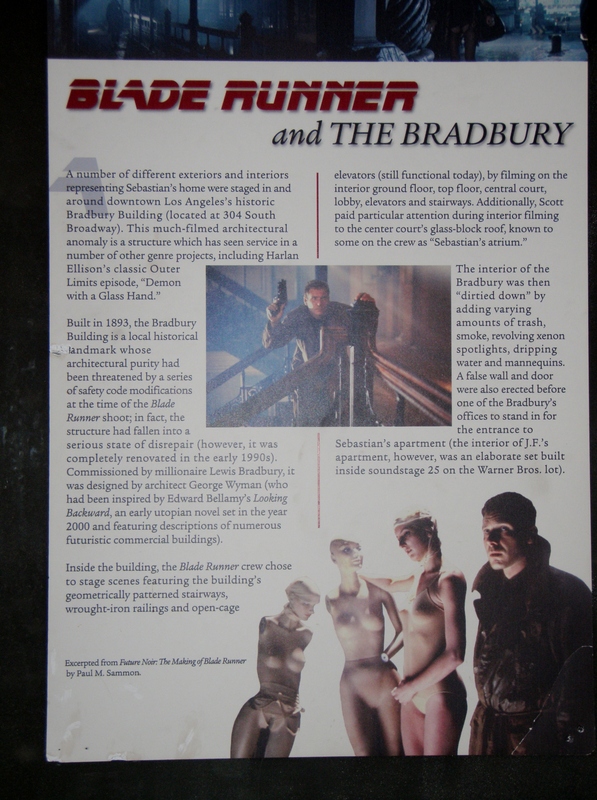 The Bradbury Building was used in the movie, “Blade Runner”. This is the elevator! To use it, there is a ‘call button’ to press. A on-duty guard literally has to crank a wheel-type device and up you go! How’s that for ‘old time travel’! This building was one of the most unusual I have ever seen. I kept thinking to myself, I love it, but I don’t get it. I would then think, I think I like it, but I’m not sure. Strange, really. 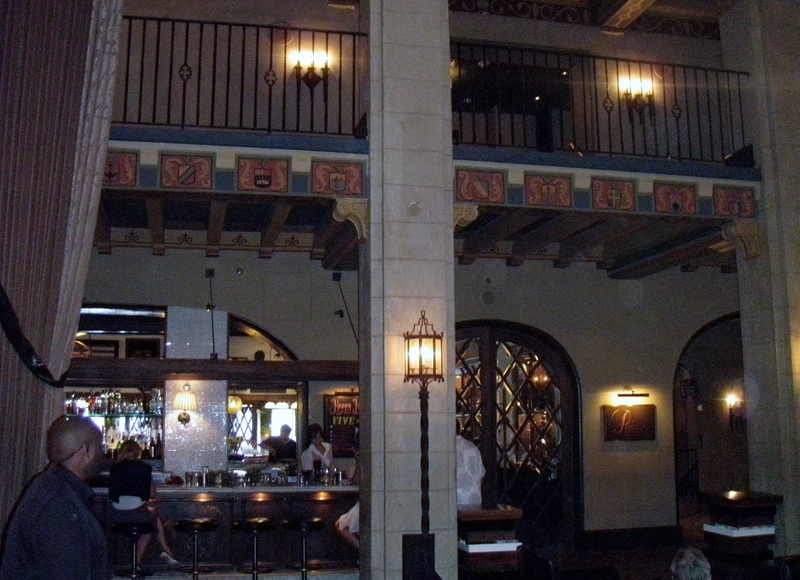 This hotel was built in 1927, and hosted the 1st Academy Awards in 1929. I do apologize for the darkness of these photos, but the hotel’s lighting is extremely dim. 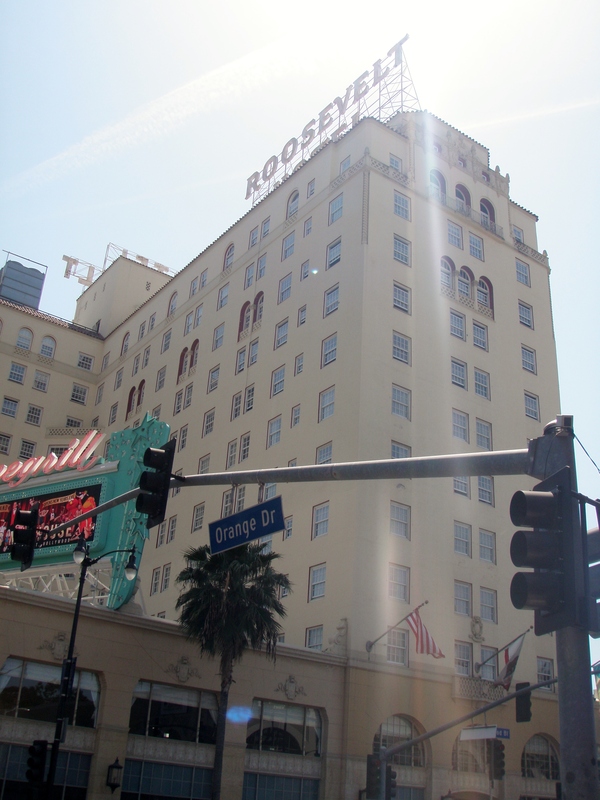 Legend has it that the Roosevelt Hotel is haunted by Marilyn Monroe, Errol Flynn, and Montgomery Clift. And there you have it folks. A little snapshot of our wonderful week in Long Beach/LA. Next post we are back to the regular Chicago Files and here’s a tidbit: Wrigley Field is 100 years young! Please stop by again soon! ← Now arriving……….Union Station, Los Angeles! If I remember correctly, the elevators at the Bradbury are powered by water pressure. There have been a number of movies and TV shows filmed there: the “Outer Limits” episode “Demon With a Glass Hand” was filmed entirely inside the building at night; some scenes in “Chinatown” were filmed there, as well as part of an episode of “Quantum Leap”. Even DC and Marvel Comics have used the building in their fictional universes. Thank you for that information, Cassidy! I was wondering how the elevators worked with simply a hand crank. We were with an architectural guide and our group waited and waited until someone pushed the elevator button in order to see it in action! I guess the water pressure is what allows it to easily move up and down. 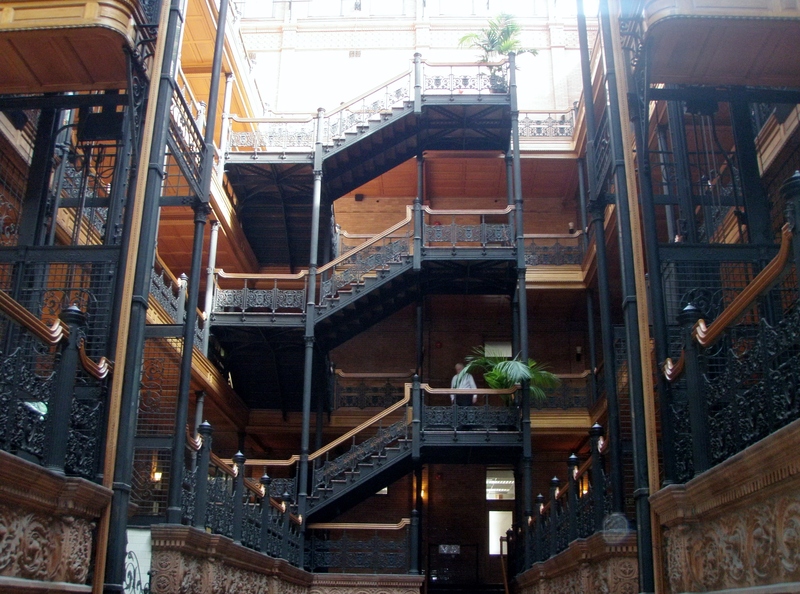 I can see why so many movies are filmed at the Bradbury. This is just going back in time. Glad that they kept the antiquity intact. Hello, Cher. 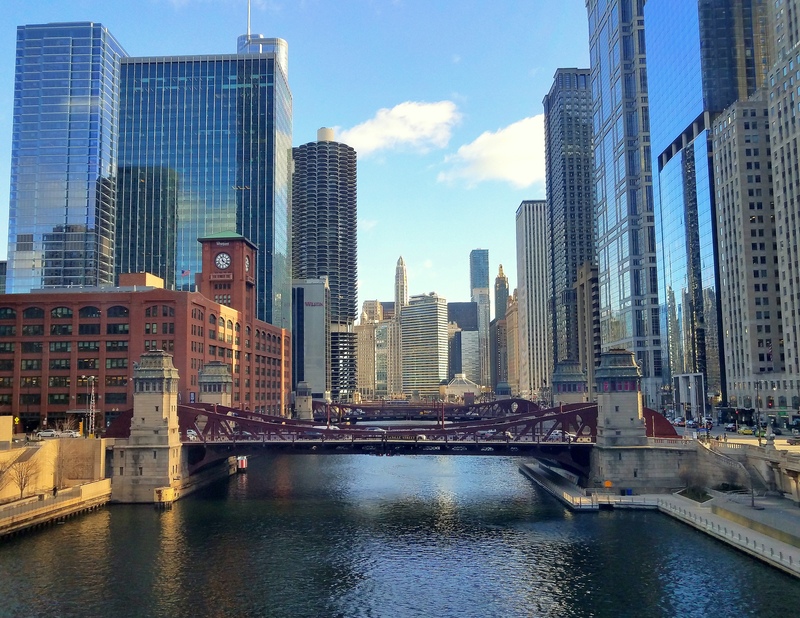 Wow – incredible buildings with so much history and atmosphere. 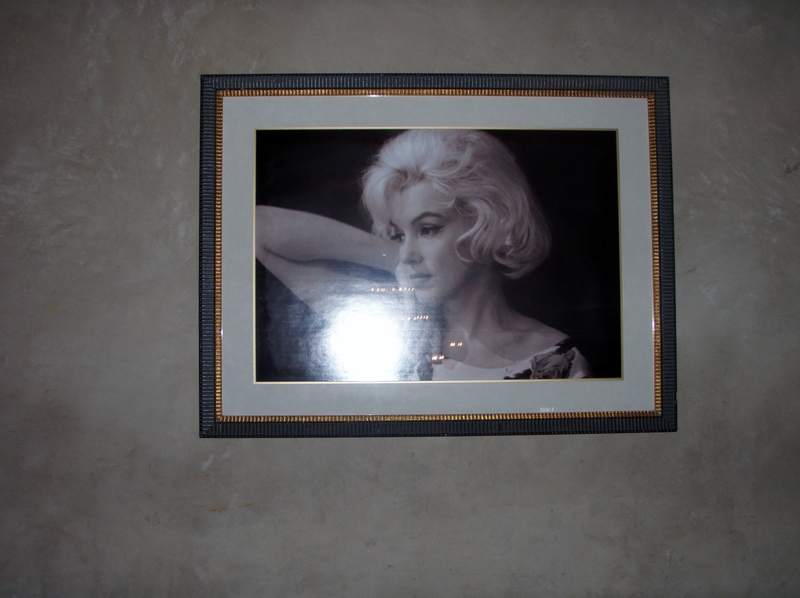 And what a very beautiful photograph of Marilyn, looking serene and pensive! How lovely to have had such a wonderful trip! Thank you so much, Veronica! And thank you as well for reblogging this post! I really appreciate it and am so grateful! It was such an incredible trip, steeped in history, mystery, and intrigue! Ah yes, what a fantastic picture of Marilyn! To think she walked the halls of the Roosevelt Hotel was thrilling!! See this from Cher for a little slice of Hollywood history! 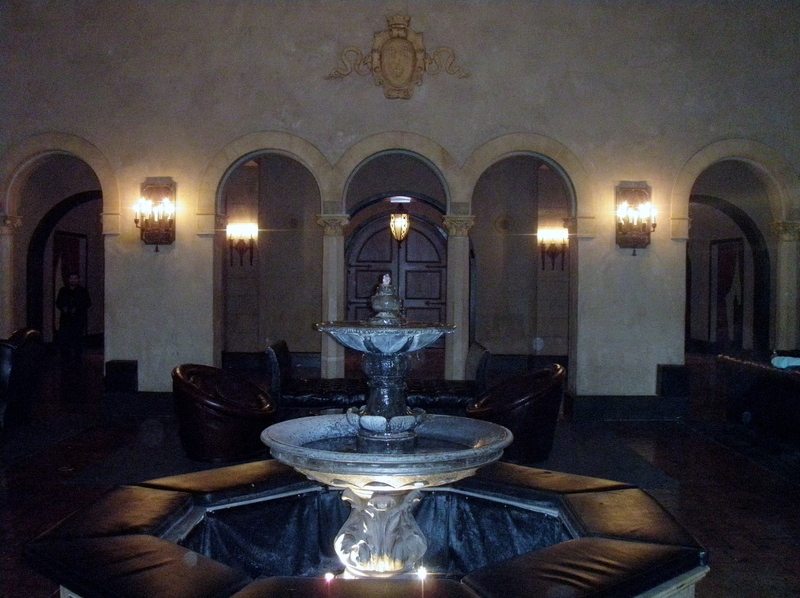 Here’s hoping the ghosts get together for regular parties – what a great venue for them! 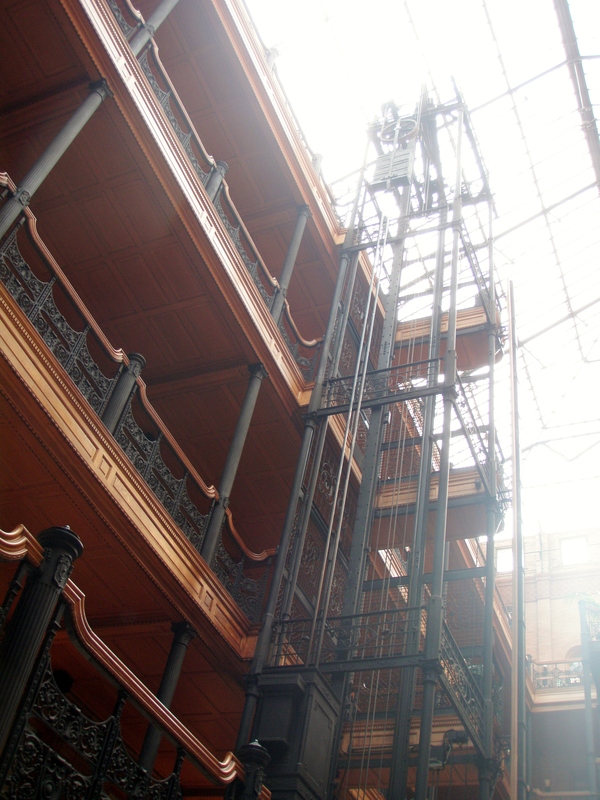 Never heard of the Bradbury Building, Cher. Thank you so much. I love it. I’m an architectural buff, among other things, and I just go ga-ga about old, and/or unusual buildings. One of the buildings that did that to me was in Barcelona. We did a tour of the old Gaudi home – it’s a museum now, but that is extremely unusual. Antoni Gaudi was an inventive, artistic architect, and there are other examples of his building designs in Barcelona (I don’t know of any elsewhere in the world). Here is the link to view 10 of his architectural works of art: http://www.globotreks.com/destinations/10-gaudi-buildings-barcelona/ La Pedreda is the building that was originally his home. It doesn’t really show the military figures on the roof. They are unbelievable. Spelled the name of the building incorrectly – sorry. It’s La Pedrera.